For over 45 years I’ve been in the private practice of psychiatry and individual and group psychoanalysis. I was educated and trained at Yale School of Medicine, St. Thomas’s Medical School, London, The Maudsley Hospital, London, The British Institute of Psychiatry, London, and The C.G. Jung Institute, San Francisco. Having majored in philosophy and history as an undergraduate at Trinity College, in Hartford, Conn., David Leof, M.D., a member of the School of Medicine’s Class of 1964, initially found life at the medical school to be “quite terrifying.” On his very first day, then-Dean Vernon W. Lippard, M.D., issued a sobering call to responsibility, reminding the new students that medical school is only a brief chapter in the life of a physician. Though the day would come when each student would receive a medical degree, “you have the rest of your life to earn it,” said Lippard. “I’ve never forgotten that,” says Leof, now a Distinguished Life Fellow of the American Psychiatric Association elected in recognition of significant contributions to psychiatry, and a Jungian psychoanalyst and psychiatrist in private practice in San Francisco. But Leof’s terror quickly evaporated, and “as things unfolded, I was just like a little kid at Christmas,” he says. “I had an absolutely joyful time in medical school.” In gratitude, Leof and his wife, Colleen, have made a bequest to the School of Medicine of several million dollars, which will support medical students who have distinguished themselves in the arts or humanities. 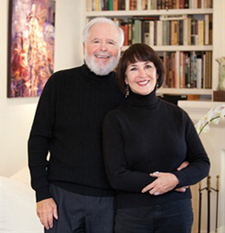 To enable students in this year’s entering class to be eligible for the new scholarships, the couple has made an additional gift of $150,000, an amount that has already been doubled thanks to contributions from others, including a matching gift from the School of Medicine to mark the school’s Bicentennial year. 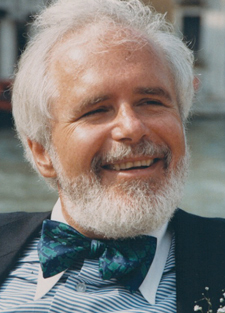 Another major influence on Leof was Lippard’s successor as dean, Frederick C. Redlich, M.D., a legendary chair of the Department of Psychiatry from 1950 to 1967 who built the department into one of the nation’s finest. It was Redlich, Leof says, who encouraged him to go into psychiatry himself. After graduating, Leof interned at Dartmouth College’s Mary Hitchcock Memorial Hospital and then served two years on a U.S. Public Health commission working for the Food and Drug Administration in Washington, D.C. “When I went to my internship, Redlich said, ‘You’re going to be a psychiatrist, and consider this a declaration of intention.’” Redlich then promised Leof a residency at Yale following his public health commission. Though Leof chose the University of California-San Francisco instead, he has indeed spent his life in psychiatry. The Leofs’ decision to support students with distinction in the arts and humanities stems from lifelong passion. David Leof says his medical training was enhanced by many trips to see a friend’s workshop productions at the Yale School of Drama and time spent at the School of Art and Architecture (as it was then called). A year in London as a James Hudson Brown Fellow was another highlight of his Yale years, he says. In addition to walking the wards, rowing, and playing rugby for St. Thomas’s Hospital Medical School, Leof completed a seminal research project, mapping out for the first time the innervation of the human lung, and published the results in the Journal of Anatomyin 1964. Colleen Leof is an accomplished artist whose work has appeared in numerous solo and group exhibitions and is part of private collections around the world. Medicine@Yale, a bimonthly publication of Yale School of Medicine (YSM), chronicles achievements of YSM in basic and clinical research, medical education, and health care.